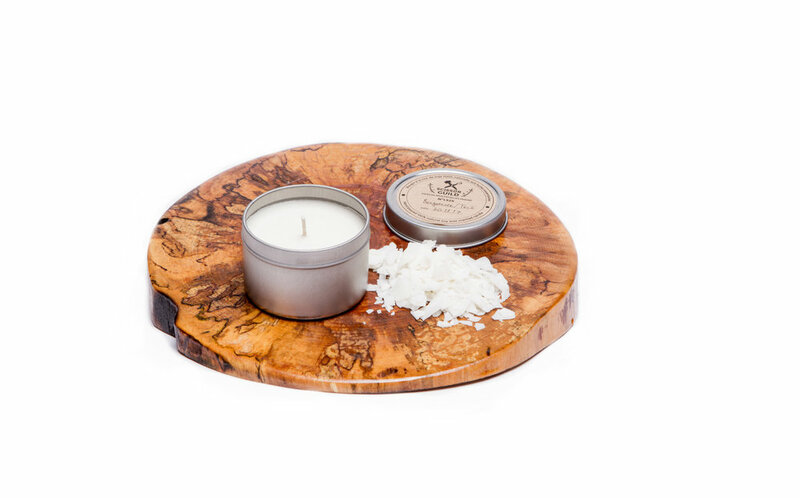 Our candles were crafted to be portable, sustainable and fragrant. Made from natural soy wax and an essential oil blend of Bergamot and Caribbean Teak, each candle has a cotton wick and is hand poured in our shop into a tin can with a cap. With an earthy aroma cut with a hint of citrus, and a clean burn free from paraffins. Use for lighting outdoor adventures or adding a rustic ambience to the home.